Eduardo Calvo is an environmental scientist from Comenius University, Bratislava, Slovakia. He is an Associate Professor at San Marcos University in Lima, Peru where he teaches courses devoted to environmental pollution and natural resources management. He has also taught at Universidad Nacional de Ingeniería, Universidad Nacional Federico Villareal. He is a former Board Member of the Peruvian Chemical Society and is currently a member of the Peruvian Academy of Health. He is a Co Chair of the IPCC Task Force on Inventories, member of the Executive Board of the Clean Development Mechanism, and has been a negotiator or advisor on climate change negotiations since 1996 until 2015. He also advises the Peruvian Ministry of Foreign Affairs on various environmental issues. Formerly, he was an adviser on environmental issues to the National Council on Environment and the Peruvian Ministries of Agriculture and Housing. He has coordinated the GHG Inventory of Dominican Republic and served as a reviewer of the Chilean GHG Inventory. 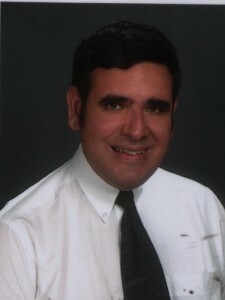 Eduardo has chaired or co-chaired various debates on topics ranging from bunker fuels, impacts of response measures, to Clean Development Mechanism and procedures.